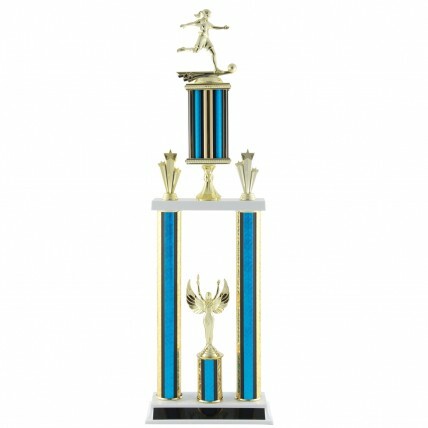 Deluxe Female Soccer Tournament Trophy - 27.5"
If you want our tallest, most impressive tournament trophy, our Deluxe Female Soccer Tournament Trophy - 27.5" is the one to choose. The columns come in your choice of red, blue or green, with a 5 inch girl soccer player featured on the top of the award. Golden shooting star trim and a female winged victory figure complete the trophy. At a towering 27 ½ inches, this deluxe tournament trophy is striking! 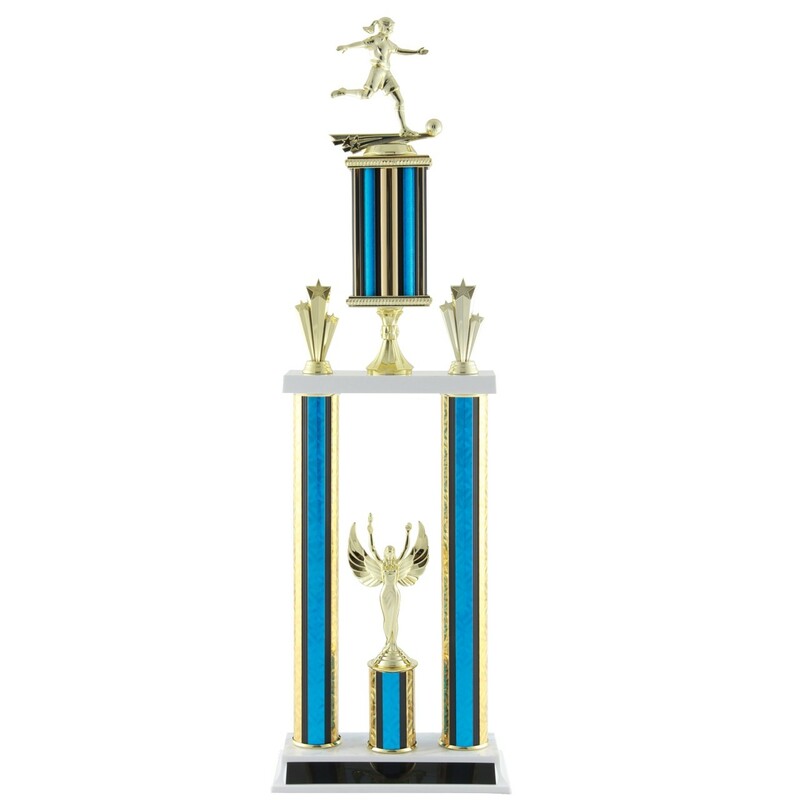 Deluxe Female Soccer Tournament Trophy - 18.5"
Deluxe Female Soccer Tournament Trophy - 21.5"